Powdery soft sand and clear turquoise water can be found on Holland America Line’s private oasis Half Moon Cay on San Salvador Island in the Bahamas. 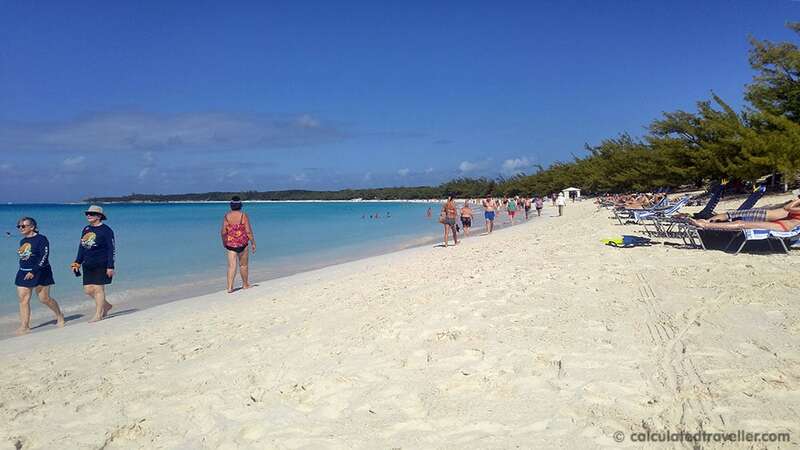 Not all private islands are like this one, and it’s no surprise to hear that Half Moon Cay regularly wins awards for being the best private beach in the Caribbean. The sand is incredibly soft with no coral, rocks or shells. There are trees for shade so no need to sit under an umbrella or inside a cabana. 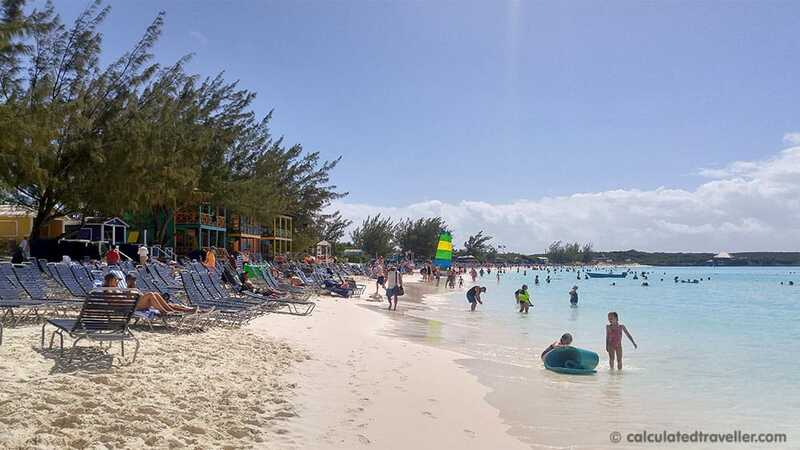 I remember when we first started coming to Half Moon Cay in our early days of cruising (back in the 90’s) and hearing that they trucked the sand onto the island. An exaggeration of course because how could they do it? But, the idea is believable once you experience the sand for yourself. They do groom the sand as witnessed by of the ATVs with giant rakes driving along the beach. Suzanne recently commented on our Facebook page “Love it there! The sand is as soft as icing sugar!” — and I couldn’t agree more! The water is very shallow. I’m petite and can walk out quite a distance into the water and still be at 4-foot depth. No seaweed, seagrass in the water — just clear blue turquoise. TIP: There aren’t a lot of fish to see in the water if you choose to snorkel unless you swim over to the rocks by the tender area. 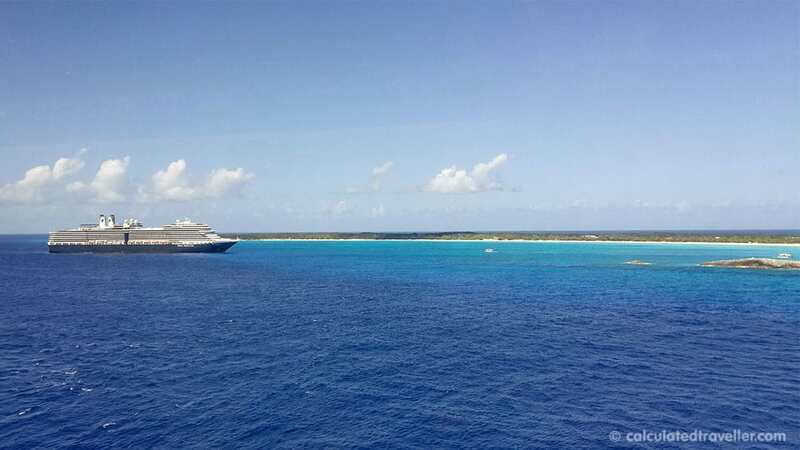 The best part about Half Moon Cay is that it is an extension of the cruise ship. A massive barbecue awaits for lunch. Water, lemonade, and ice tea are complimentary. 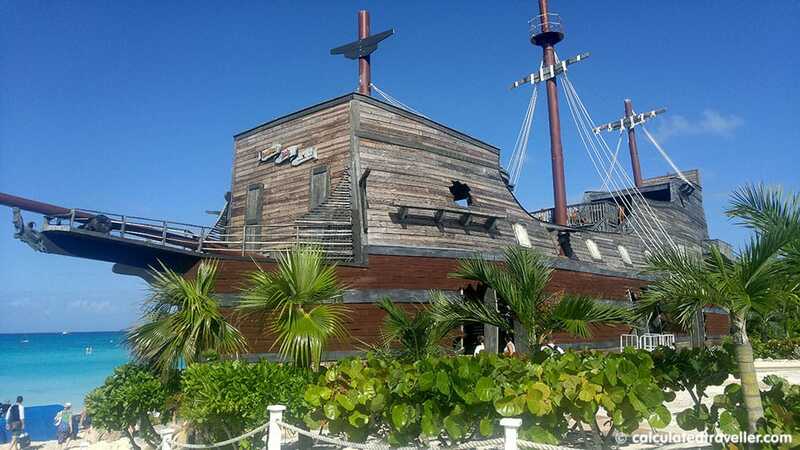 Bar service is payable via your onboard account courtesy of the waiters that walk the beach and of course the Pirate Ship Bar. The only reason you will need to bring actual cash with you is if you wish to buy a souvenir in one of the shops by the Tender Area. Restrooms, showers, beach chairs and shade, are plentiful. 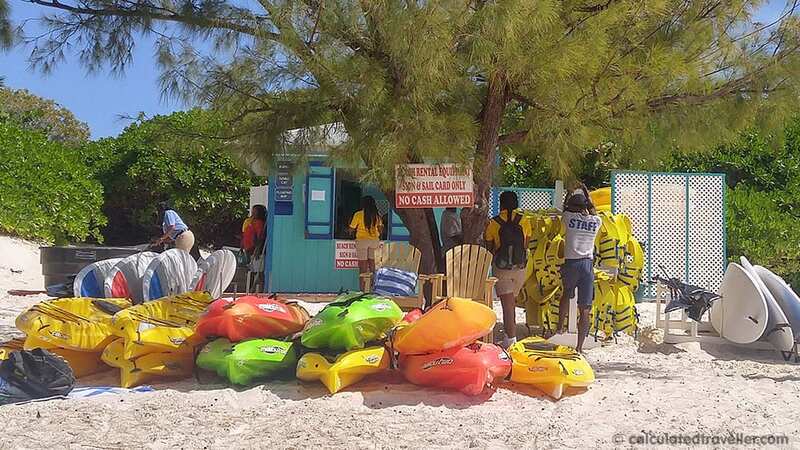 The only problem with Half Moon Cay is that you must tender via small ferry boats that hold 300 or so guests at a time, so there is a long wait to get to the island and return to the ship. TIP: Start your day early to get the most of this beautiful private island. The day we docked, we shared the island with another Holland America Lines Ship — the Eurodam. Having both ships at the island made the beach and the food area much busier and more crowded than usual, so much so, that we opted to return to the ship earlier and just hit the buffet on the Lido deck instead. If you are looking for a bit more breathing room for your chair, walk past the private villas towards the horse stables. It’s much quieter but be aware that there are no lifeguards past a certain point. What else is available on Half Moon Cay? 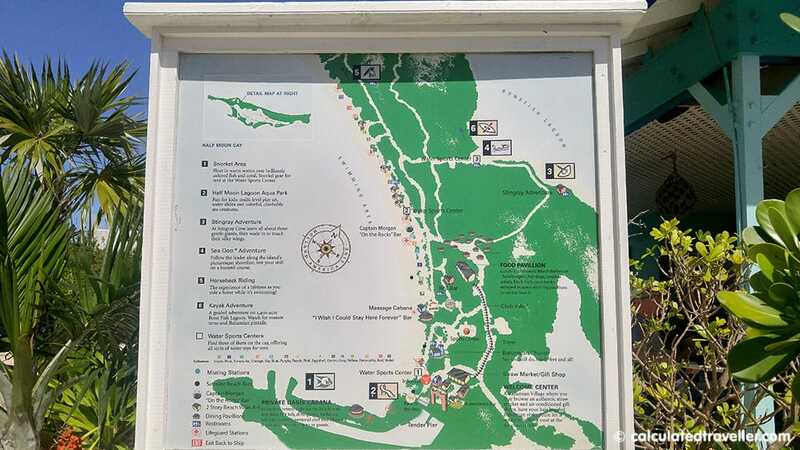 Looking for things to do on Half Moon Cay other than the beach? Wander over to the Bahamian Chapel for some peaceful reflection, check out the stingray encounter lagoon, or visit the horse stables. You can view all these areas even if you aren’t participating in one of the adventures. There are also some walking trails to pass the time. 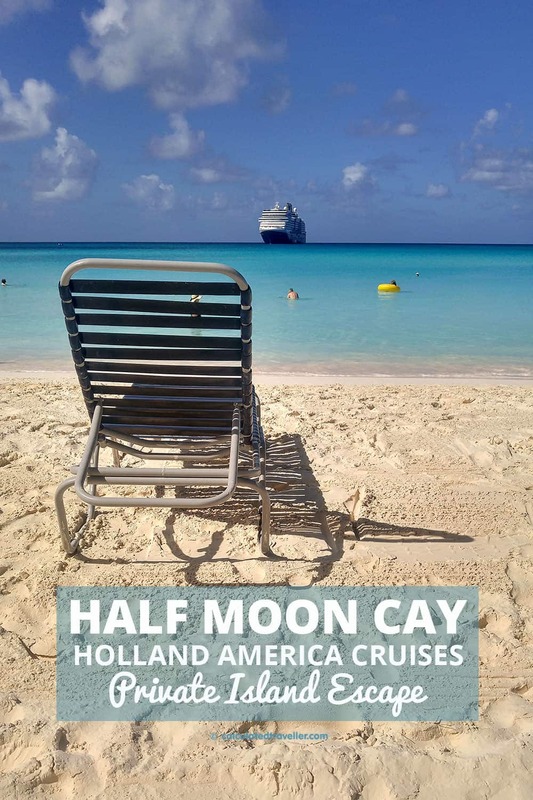 Have you been to Holland America Lines private oasis Half Moon Cay before? What’s your favourite thing about this beach?